This iExpression offers a simple possibility to distribute a text to several layers. Each single layer can contain one or several letters, words or lines of the original text. 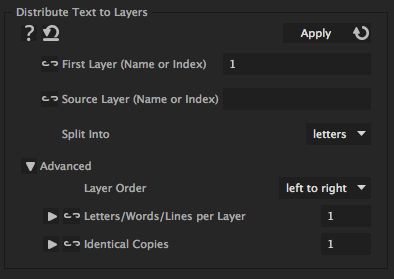 How many letters/words/lines are on the same layer.